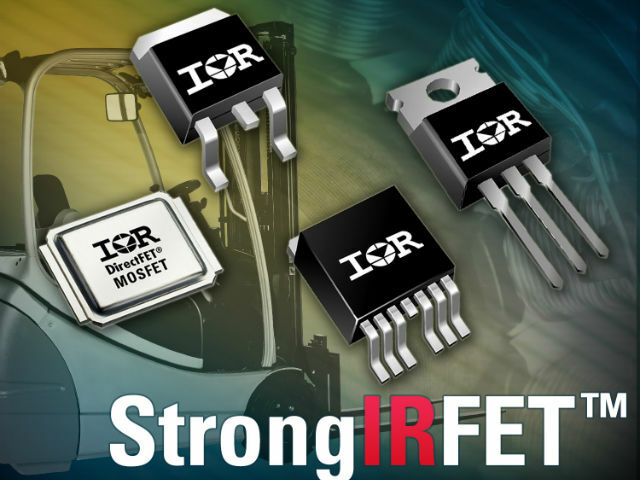 TME’s offer has been enriched with new INTERNATIONAL RECTIFIER , StrongIRFET™ Power MOSFET family transistors. The manufacturer put special emphasis on achieving minimum resistance of a channel in conductivity state (R DS(on) ). It allows increasing the maximum conduction current by an element, in compliance with the same case dimensions as well as manner of heat spreading. Their usage in existing applications helps limit power losses and heat emission in the equipment. StrongIRFET™ family elements have been designed mainly for industrial market, solar applications, UPS’s, inverters and control units for motors, battery packs, battery powered tools, electric vehicles and “Oring” and “Hot Swap” applications..